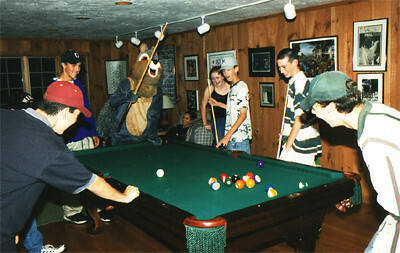 OnePerDay :: A pool-playing squirrel crashes Lil Sister Katie’s bday party, originally uploaded by dpstyles. From Flickr user Dpstyles: “I can’t remember exactly how this story goes. but for some reason my dad had a squirrel costume in trunk of his car (for some fundraiser?) which my brother found and promptly put on so he could scare the kids at my sister’s birthday party (prob 13-14th bday? ).